New Delhi, Aug 2015: After a game-changing first edition that offered a new platform to the industry and policy makers to discuss major issues dogging Indian healthcare, India Health & Wellness Summit & Awards is returning this year with a bigger agenda for dialogue, a wider approach to recognizing front runners and much larger scale of participation from all quarters. 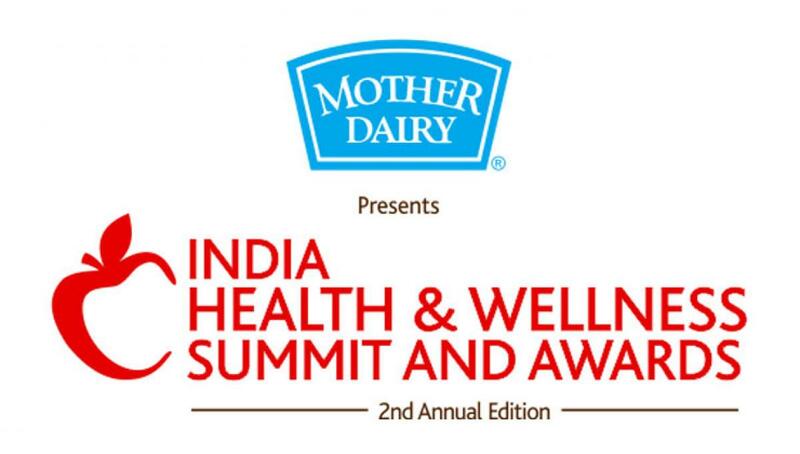 HealthyDunia.com, the fastest growing health and wellness information portal is proud to announce the 2nd India Health & Wellness Summit & Awards 2015 presented by Mother Dairy to be held on September 10, 2015 at Hotel Taj Palace in the capital. This year the IHW Summit has focused on increased participation from the government and public health departments to enable a full-fledged dialogue between multiple stakeholders in the sector. Minister for Road Transport and Highways Mr. Nitin Gadakari; Minister of State (Independent Charge) for Culture, Tourism Dr. Mahesh Sharma; Minister Of Health & Family Welfare, Maharashtra Shri Deepak Sawant; Deputy Chief Minister & Minister of Health, Goa Francis Dsouza, are among key speakers from the Central and state governments. India Health & Wellness Summit and Awards is determined to play a key role in devising and nurturing ideas that can help make healthcare ‘accessible and affordable’. The platform also promises to honor innovators who propose ideas and establish avenues to meet the diverse healthcare needs of our billion plus population. With over 20 awards in multiple categories such as healthcare delivery, innovation and lifesaving technologies, the event will follow a rigorous selection process manned by an eminent jury, including some of the biggest names from Indian healthcare companies, doctors, scientists, experts, media representatives, government sector and social leaders. India Health & Wellness Summit & Awards 2015 will feature much-loved South African singer and UN Goodwill Ambassador for UNICEF and Roll Back Malaria, Yvonne Chaka Chaka. She is expected to share the African perspective with an aim to explore possibilities of greater cooperation with India. “We took a dedicated initiative when we launched India Health & Wellness Awards last year. Encouraged with the success of our debut and the overwhelming response it got from all stakeholders, we are back in a bigger and better avatar this year. The 2015 edition of IHW Summit & Awards will see several new segments designed to make it more comprehensive, effective and outcome oriented. This year, we have also planned a ministerial session that will have Ministers of Health & Family Welfare from selected states to discuss their respective experiences and facilitate exchange of ideas,” said Mr. Kamal Narayan Omer, Director, Blue Pen Media, Organizer of IHW Summit & Awards. “Be it doctors, service providers, policy makers, innovators or corporate, a lot of people have shown interest in participating in the event and contributing towards finding a new ground which can spawn new ideas, approaches and partnerships. We are aware of the fact that India faces myriad health challenges which can neither be resolved by focusing on just the urban elite nor be addressed by turning all attention to the under privileged. We need a balance in our approach and better public-private partnerships. We hope over the years, IHW will become a fountainhead of new ideas,” said Dr. Bobby John, Managing Director, Aequitas Consulting and Curator of the IHW Summit. The IHW Summit & Awards 2015 is being supported by Mother Dairy, Gaudium IVF, KV Developers, EBIX Adam India, Indian Spinal Injuries Centre, Paras Healthcare, Global Health Advocates India, NATHEALTH, Association of Healthcare Providers of India (AHPI), JCKRC Spa Destination Pvt. Ltd., Impact Investors Council, World Simulation Society (WSS) & Aequitas Consulting. The Outdoor Media Partner is Prabhatam Group while the Legal Partner is Trust Legal. The scale of the summit has clearly widened in a year. This year will see 20 speakers participate in six high powered sessions, 600 national and international delegates brainstorm over matters of importance in a communion of decision makers from the industry, government, non-profit-sector and all other stakeholders to address the opportunities for and the challenges to improvement of healthcare outcomes in India. Additionally, the forum will have a healthcare entrepreneurship session with thought leaders and entrepreneurs discussing demand-driven innovations that are transforming healthcare, and scalable strategies that empower those living at ‘the last mile’. Other speakers at the conclave include Nanda Kumar, Chairman, National Dairy Development Board; Sanjiv Navangul, MD, Janssen India; Dr. T. S. Kler, Director & HOD Cardiology, Fortis Escorts Heart Institute; Shobana Kamineni, Executive Vice-Chairperson, Apollo Hospitals Enterprise; Dr. Ramakanta Panda, Vice Chairman & MD, Asian Heart Institute; Sandeep Farias, Founder & Managing Director, Elevar Equity; Dr. Manika Khanna, Founder & Managing Director, Gaudium IVF.